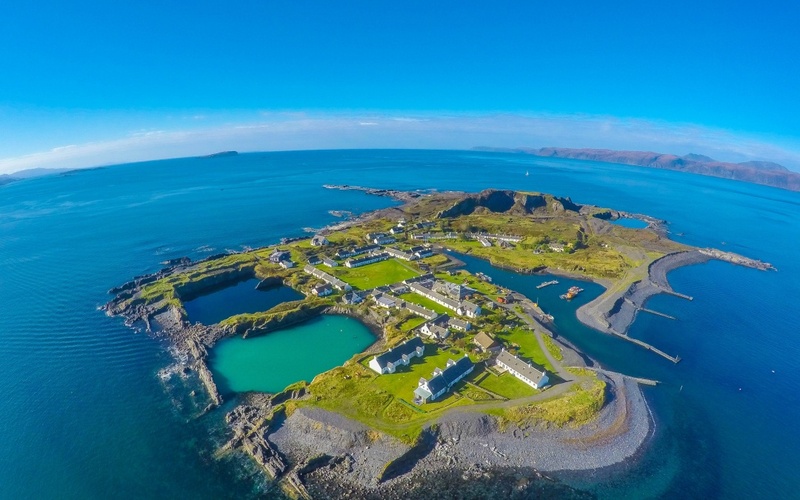 Keren Cafferty, Owner of The Puffin Bar & Restaurant on Easdale Island as well as arts co-ordinator for Easdale Island Community Hall recounts in a feature for The Touring Network. “For me getting Peatbog Faeries here last year was a personal achievement. Our programme of events has always run from Easter to end of September but we took the decision at the beginning of last year to try and extend into October. I happened to see Peatbogs were touring in October and thought what the heck and contacted their management. When I asked about fees I was pretty sure they would be out of our price range (our capacity is only 150) and I was right. Not only that we also couldn’t meet their lighting spec which is such a major part of their show. Despite all this the guys were really keen to come and play here so we were able to strike a deal with them. The gig sold out completely and it was fantastic. The hall was bouncing and it was a really good bit of publicity for the community. For me it shows despite our size and location our wee venue does have enormous appeal to both artists and audiences. You just have to go for it!